No longer is the modern kitchen solely a place for food prep. 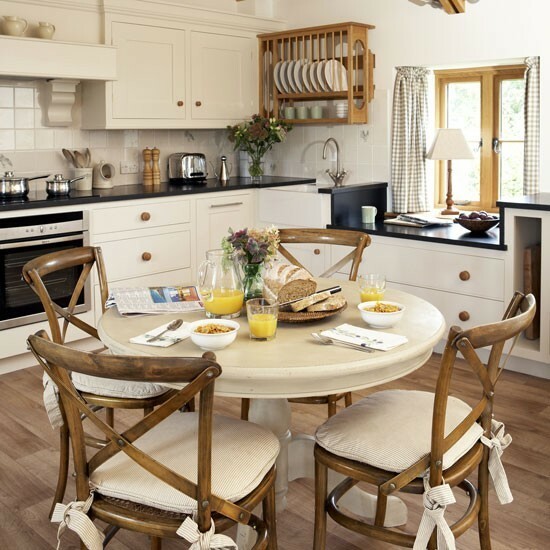 Increasingly, families are using the space to eat, socialise and relax in, so it’s important to choose a design that will work with your lifestyle. Think about who uses the space. How many people are there in your family? Do you have toddlers or teenagers? Will everyone eat together at the same time? Do you want to be able to keep an eye on the children as you cook? The answers to these questions will determine the layout and design of your new scheme. 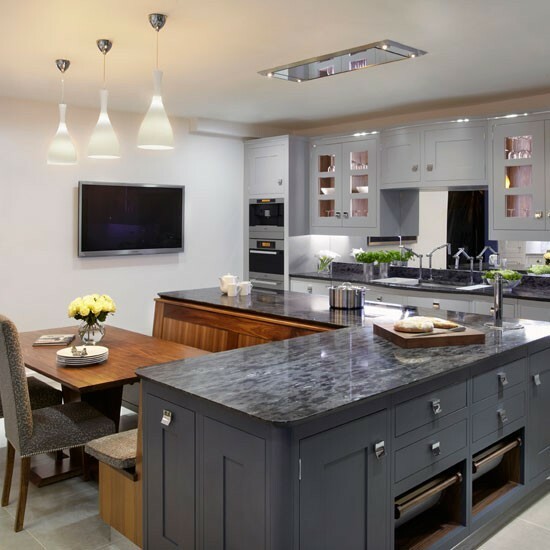 And you don’t necessarily need a large kitchen to accommodate a big family; a good designer will help you to maximise space in a galley kitchen or small kitchen. 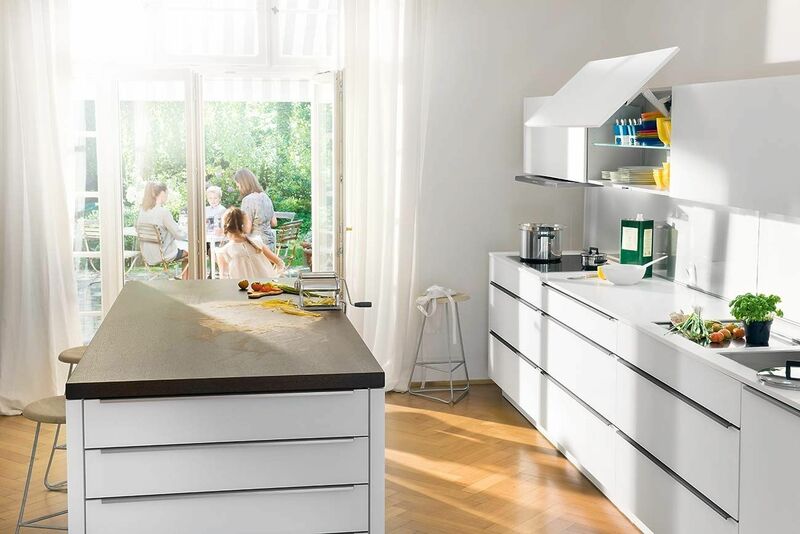 ‘For a compact kitchen, factor tall cabinetry into your design to make the most of your walls for storage. 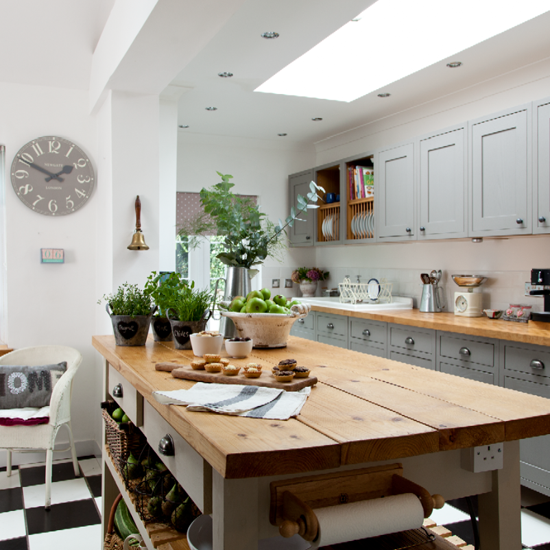 Deeper work surfaces will also generate a lot more space for prepping or displaying items, plus it offers greater storage potential – look at increasing the size by an extra 10cm, floor space permitting,’ says Andrew Hall, managing director and chief designer at Woodstock Furniture. 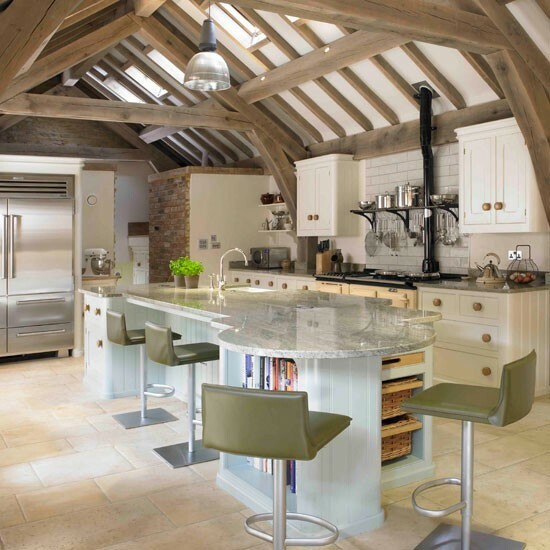 An open-plan kitchen makes a sociable space that all the family can enjoy. 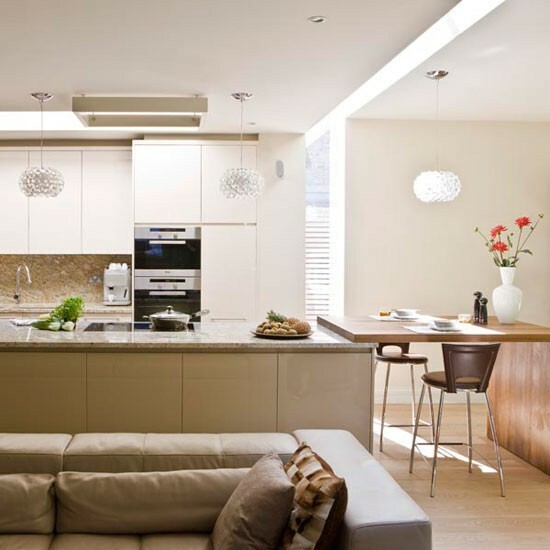 This sophisticated design had previously been two separate rooms. A cantilevered walnut breakfast bar and living space, dominated by a huge L-shaped leather sofa, provides plenty of informal seating.